Armor Grid Games and Miniatures: Armor Grid: Motor Pool - 15mm Vehicles! Armor Grid: Motor Pool - 15mm Vehicles! 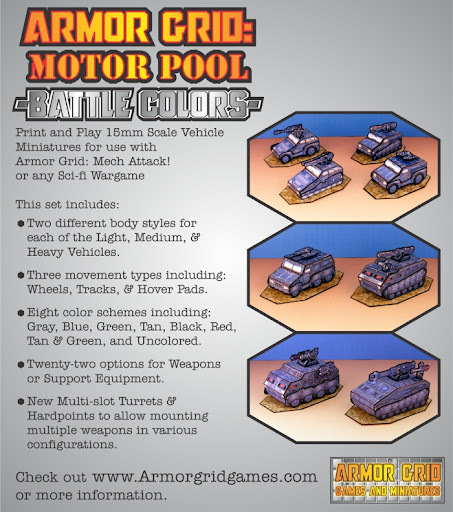 Just Released- "Armor Grid: Motor Pool - Battle Colors"! Print and Play 15mm scale vehicles for use with Armor Grid: Mech Attack! or any 15mm Sci-fi wargame.